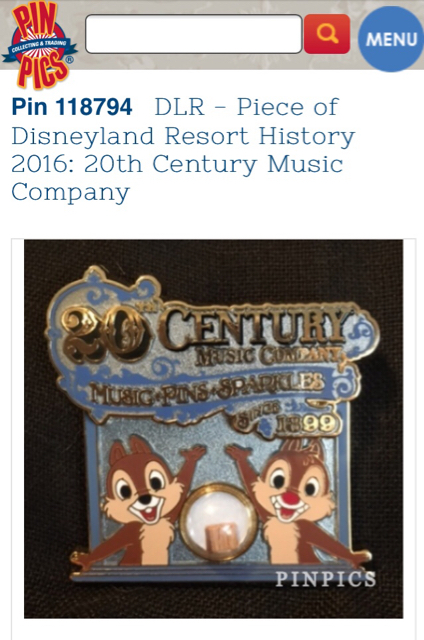 Discussion in 'Completed Pin Auctions' started by CanaDaLE, Sep 4, 2018. Please disregard if that is not allowed under the current rules. No gifs. Sorry, @Ajk but I only have 4% battery left. I need to think about this. I will post my pick in the morning. Tokaji, Kerri780, NutMeg and 1 other person like this. Are we going by time stamp on posted bid to see what came in by 9:00 MTD? Deleted due to issues with Rules. On to the next one @CanaDaLE ! Congrats! That was a great race at the end! Oh man... ok, I already have nervous tummy typing this LOL. xD I love everyone involved here (Erin and Omi are my homegirls 4 lyfe, Shaya is my fellow Greendale Human Being, and Tina is the sweetest), so I hope this isn't taken the wrong way. BUT technically @Spr175psu did open the door by mentioning that he was donating pins "Only because I enjoy controversy and causing a stir," haha, so I suppose the "controversy" has already been alluded to and that door has been opened...? No cheerleaders or bid zaps for sickly old me? Seems unfair. 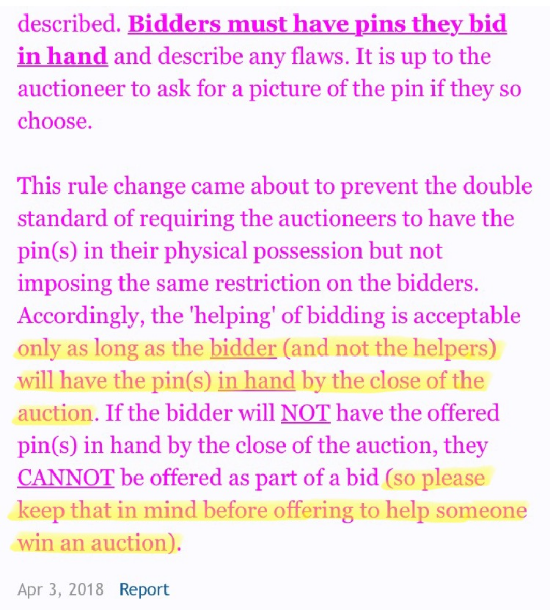 I always thought that the pins needed to be in the bidder's possession before they can place a bid. It seems like it should apply to both bidder and auctioneer. I remember being on the other end of two of those "auction zaps" already. It's not a fun position to be in. Again, I'm totally in favor of donation bids! I just think they need to be handled with sensitivity; I think the "in-hand by close of auction" rule is pretty fair. But maybe a mod can weigh in and make a judgment call on whether that rule can be waived here? Your right and I didn't even think about this when making my decision. Whoops! Sorry @pretty Omi. Couldn’t find a gif of Judy saying, “actually it’s your word against yours.” I’ll just keep twiddling my thumbs until @CanaDaLE puts up her little mermaid PODM. Pretty please! Hey I gave it my best shot! watzshakinbacon and TheMickeyMouseRules like this. NutMeg, Spr175psu and Kerri780 like this. He only makes the rules so he can break 'em. Pin feathers and golly fluff! Spr175psu and Disneychildwithin like this. Congrats to <strike>@pretty Omi</strike>@watzshakinbacon ! Sorry! 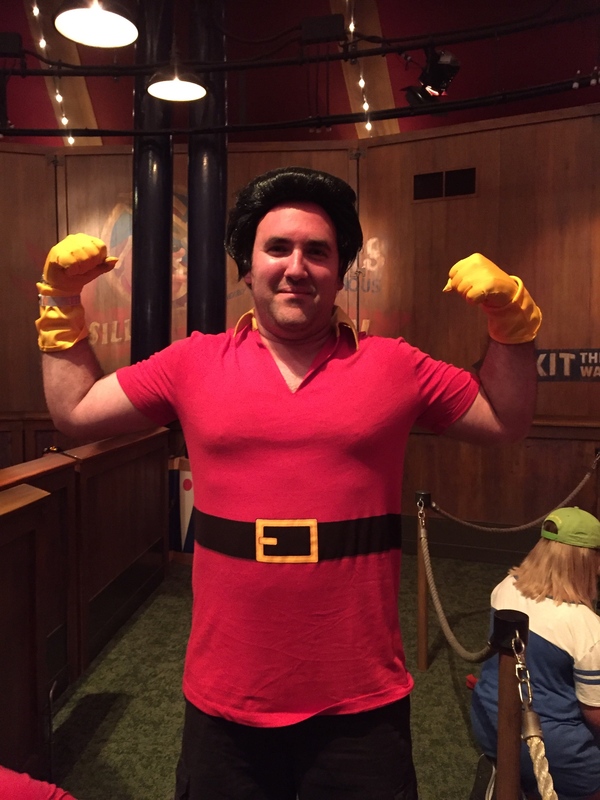 Gaston doesn’t follow rules! Ajk, watzshakinbacon, pretty Omi and 1 other person like this. NOOOOOOOOOOOOOOOOOOOOOOOOO! Of course it had to be *this* one that I missed out on.